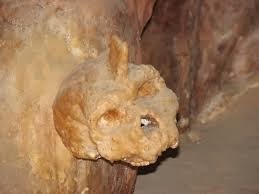 World Archeology: The controversial Petralona skull and Greek government suppression of information. Recently, we posted an article about the discovery of a skull that has the potential to challenge what we know about human evolution. We have now received an update directly from the head researcher, Dr Aris Poulianos, who has been working against all obstacles to get the information out about this controversial skull. In 1959, Dr Poulianos worked under the Greek Government on the discovery of a cave in Petralona, Chalkidiki, where numerous ancient fossils were found, including the important discovery of a human skull that Dr Poulianos dated at 700,000 years old (read more about the dating process in the original article). The consensus among paleoanthropologists today is that the cranium belongs to an archaic hominid distinguished from Homo erectus, and from both the classic Neanderthals and anatomically modern humans, but showing characteristics of all species and presenting strong European traits. According to Dr Poulianos, the age of the skull challenges the Out of Africa hypothesis and suggests the independent evolution of Homo sapiens in Europe. According to Dr Poulianos’ latest update, the Greek government has been making systematic efforts to hide, diminish and discredit his work, as well as blocking him from further research and excavations in the cave of Petralona. 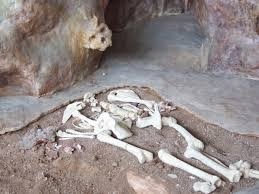 They have also requested him not to discuss the finding made in the cave. 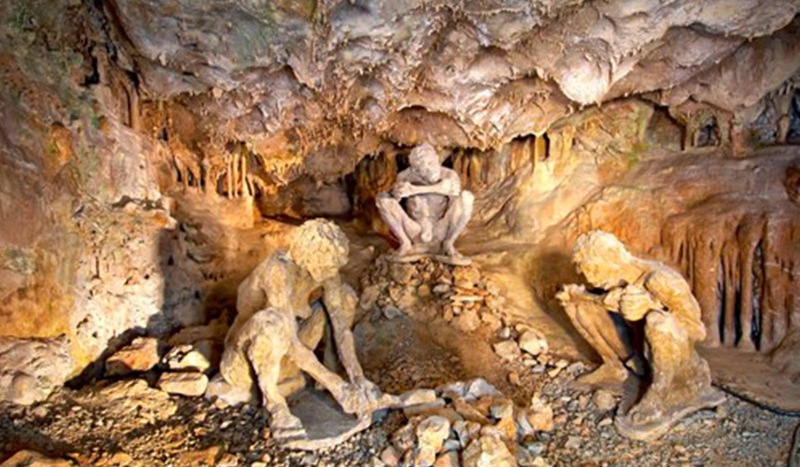 Multiple false accusations have been made by the government to try to spoil his name and his 50 years of research on the cave, yet the European Anthropological Association supports him and has submitted complaints to the Greek Government for this unacceptable situation. Dr Poulianos has claimed that the government destroys more than 90% of the anthropological evidence found in Greece, and that people who do not hold paleoanthropology qualifications are put in positions of responsibility over important archaeological excavations. Recently, Dr Poulianos gave a talk at a high school in Athens, and immediately faced an attack from the authorities, which was directed at both him and the high school that allowed him to talk. The Director of the school has since spoken of the “unacceptable and defiant attitude of the authorities” and wrote: “It is really depressing that a government scientific department writes so many inaccuracies, misrepresentations, lies and threats to a head master”. It is very sad to see the consistent efforts of the Greek government to hide the truth from the public and destroy the life of people that devoted their lives to investigating and researching for the truth. You can read the official letter in greek and in english sent by Dr Poulianos to the Greek Government a few days ago.